Arrive Cochin airport or railway station. You will be met on arrival by our representative. Proceed for a short unguided sight seeing of Cochin. Places of interest include the Jewish Synagogue; St. Francis Church, the Dutch Palace and the Chinese fishing nets. Today after breakfast you will be driven 04hours to Munnar. One of the most popular hill stations in India, Located at 1600 Mts above sea level. Sprawling tea plantations, picture book towns, winding lanes, trekking and holiday facilities make Munnar a unique experience. Munnar is essentially a tea town. The tea plantations have now been taken over by the Tata Tea Company. The visitor is greeted with miles and miles of unending tea plantations on entry into Munnar. On arrival, check in to the hotel. After the breakfast, check out from the hotel and drive 04 hours to Alleppey enjoying the stunning panoramic view of the Cardamom hills & green carpets of tea plantation. Embark into the Rice Barge – converted cargo boat for a lazy journey through the meandering backwaters as you watch local life going on by the banks. In the evening the boat will anchor safely for the night. After enjoying breakfast, check-out of the hotel and drive to Kovalam. Upon arrival, check-in to the hotel and enjoy rest of the day at leisure. Stay overnight at the hotel. Kovalam a favorite haunt of visitors since the 1930s, Kovalam consists of three successive crescent beaches. Sun bathing, Swimming, Ayurvedic Rejuvenation, Yoga and meditation, Herbal body toning massages, Special Cultural Programs, Catamaran cruising; the possibilities are many. 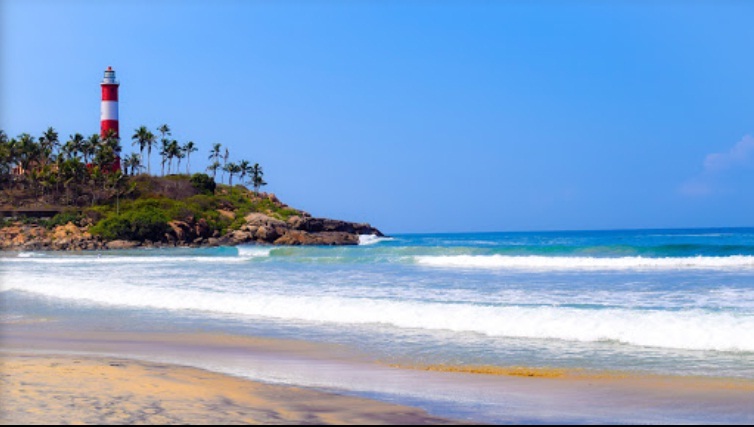 The Kovalam lighthouse beach is where most visitors spend their time. After breakfast you will be transferred to the Trivandrum airport/railway station to board flight/train for onward destination.